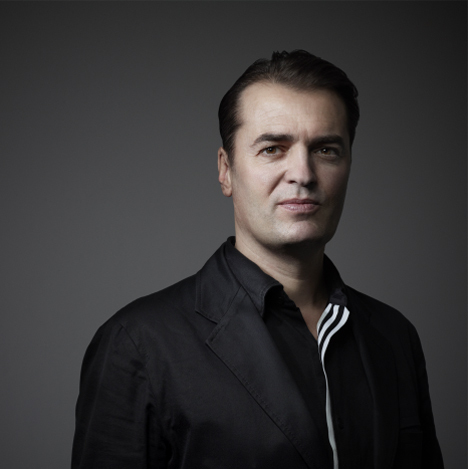 Venice Architecture Biennale 2014: director of Zaha Hadid Architects Patrik Schumacher has taken to Facebook to launch an attack on political correctness in architecture and a perceived trend for prioritising art over form-making. In a post this morning, Schumacher accused the judges of the 2012 Venice Architecture Biennale of being motivated by a "misguided political correctness" and said that architects need to "stop confusing architecture and art". His comments come just a week after Rem Koolhaas revealed that his plans for this year's Venice Biennale would focus on presenting research and the history of architecture, rather than contemporary architecture projects. "Architects are in charge of the form of the built environment, not its content," said Schumacher. "We need to grasp this and run with this despite all the (ultimately conservative) moralizing political correctness that is trying to paralyse us with bad conscience and arrest our explorations if we cannot instantly demonstrate a manifest tangible benefit for the poor - as if the delivery of social justice is the architect’s competency." An installation documenting the Torre David vertical slum in Caracas won the Golden Lion award for the best project at the last biennale, which was curated by David Chipperfield. Best pavilion was awarded to the Toyo Ito-curated Japanese pavilion, which focused on alternative housing concepts for the homes that were destroyed by the earthquake and tsunami in 2011. Two weeks ago, Zaha Hadid responded to questions about migrant worker deaths in Qatar, where her stadium is currently under construction, by saying that architects have nothing to do with the workers. "It's not my duty as an architect to look at it," said Hadid. "STOP political correctness in architecture. But also: STOP confusing architecture and art. "Architects are in charge of the FORM of the built environment, not its content. We need to grasp this and run with this despite all the (ultimately conservative) moralizing political correctness that is trying to paralyse us with bad conscience and arrest our explorations if we cannot instantly demonstrate a manifest tangible benefit for the poor - as if the delivery of social justice is the architect’s competency. "Unfortunately all the prizes given by the last architecture biennale where motivated by this misguided political correctness. STOP political correctness in architecture! And yet, architecture is not a l’art pour l’art discipline. Architecture is NOT ART although FORM is our specific contribution to the evolution of world society. "We need to understand how new forms can make a difference for the progress of world civilisation. I believe today this implies the intensification of communicative interaction with a heightened sense of being connected within a complex, variegated spatial order where all spaces resonate and communicate with each other via associative logics."